Prime commercial space available for lease on State Highway 136, with traffic counts of over 12,000 cars per day. Borger's primary trade area serves 22,798 individuals. 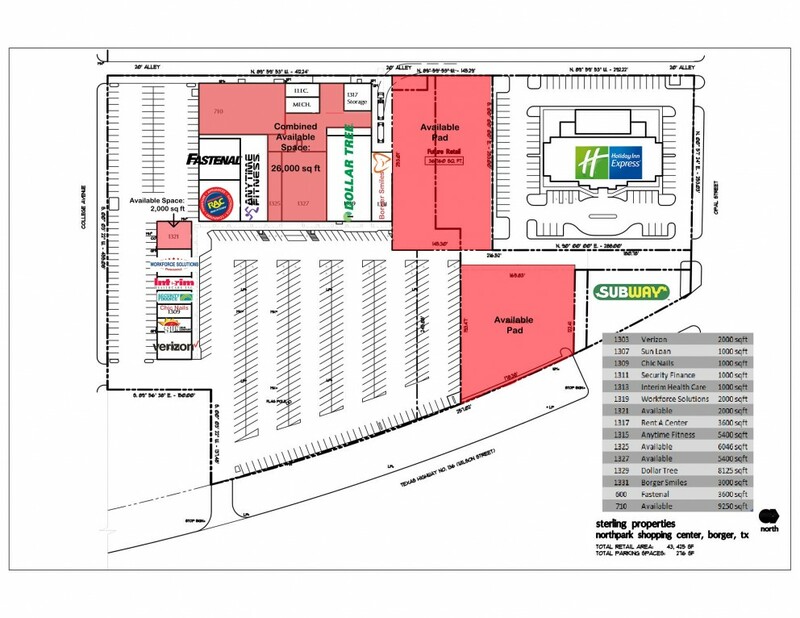 Retail Pad 2 is adjacent to Holiday Inn Express and has access to W. Wilson (SH 136) through a cross-access agreement with Holiday Inn Express and the adjacent shopping center.